Owning a Virtual Assistance business comes with challenges but also offers great freedom. Sarah Banks of Banks’ Business Solutions is a VA who is an example of the freedoms as from July to October she will be following her dreams of travel with her family and business in tow. We asked Sarah to keep us updated over the next four months whilst she visits Bangkok, Chiang Mai, Koh Samui, Penang, Kuala Lumpur, Tasmania, New Zealand, Sydney and Singapore – at the same time as working and managing the associates who work with her. As I write this we are just 2 weeks away from flying out to Bangkok our first destination on our 12 week adventure. 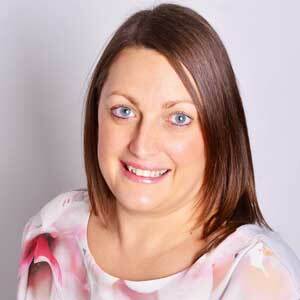 By way of introduction, I’m Sarah Banks and I have been running Banks’ Business Solutions for just over 4 years. Back in 2015, my husband and I decided that we wanted to realise our dream of being able to travel and set July 2018 as the date we would do this. The planning has had a few bumps along the way but as a family (we have 2 daughters) we will be taking 13 flights, visiting 5 countries and going on what will be the adventure of a lifetime for 12 weeks. This blog is actually about how I am preparing for this trip as a business owner! The last week has actually been great in helping me prepare for some of the potential issues I may have whilst away! I’ve had both internet issues at home and a major outage of my emails – I’m sure this hot weather is to blame! So how can I possibly travel for 12 weeks and keep my VA business running? I currently have 12 regular clients as well as a number of ad hoc clients on short term projects. Two years ago, I decided to expand and have 2 trusted associates working on a range of tasks for me including client work and to support me in running my business. I have to say that without them in place I don’t think I would be able to do this! In 2016, I told all my regular clients about my plans – I wanted them to know what we were doing and not to find out from social media. This also gave me a chance to involve them in how things would work whilst I was away. The services I offer in my business rarely require me to keep regular hours and I only have one client who I monitor emails for so timezones won’t be a big issue. Since then I’ve done some trial runs by working completely flexibly around my children during the school holidays and splitting my time between my home in Derbyshire and North Wales. This has worked well as I’ve still managed to work around 3-4 hours a day, but also spend time with my family. Whilst travelling I plan to work 10-15 hours a week, with the rest of the client work passed over to my associates. A number of short term projects will naturally come to an end before I go and I’m reducing the time I spending working ‘on’ my business by utilising my team to keep my marketing and general admin up to date. Planning what I actually need for this trip has been a challenge, whilst I work 95% of the time online, I am also a huge fan of notebooks and Post-it notes! Realistically, if I took it all with me, I would be well over my 5kg allowance for hand luggage on our flights, so I’ve had to figure out a way to work that doesn’t rely on paper!!! I have been using the notepad on my laptop to create quick notes on things I need to remember and trying to stop myself writing out my daily to-do list from Teamwork – yes I actually do that for the sheer pleasure of physically crossing it off!!! So in terms of the business all I actually need is my laptop, charger and an adaptor. Wi-Fi is of course essential and rather than look at mobile options, I’ve checked out all our accommodation to ensure that we have adequate Wi-Fi – I say all but actually whilst in Tasmania and New Zealand we will travelling around on a fairly flexible schedule so those countries may have a few extra challenges. I look forward to sharing an update on my first couple of weeks with you next month, but for now I am going to figure out how to fit all the children’s toys into our two suitcases! Sarah Banks started Banks' Business Solutions in 2014 to achieve a better work/life balance. As a busy mum of two, she understands the challenges involved in juggling numerous work tasks and family duties and is passionate about supporting those in a similar position to grow and develop their businesses.